In Touch in a bi-annual newsletter that is sent to all households in Prairie Valley School Division. It provides a look at learning in today's classrooms and how Prairie Valley contributes to student success. Topics vary, with past issues covering the strategic plan, the progress on our strategic goals for the school year, school division milestones (e.g. 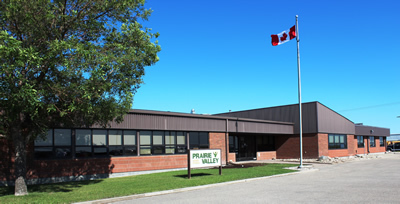 100 years of trustees and Prairie Valley School Division’s 10-year anniversary), system-wide initiatives and events (e.g. student senates and new technology in the classroom) and new policies or procedures.